Dear absolved believers: grace, mercy, and peace to you from God the Father and our Lord and Saviour Jesus Christ. Amen. Many people find Absolution offensive. Only God can forgive sin, they say. How then can you have a pastor saying, “I forgive you all your sins in the name of the Father and of the Son and of the Holy Spirit”? Christ has the authority to forgive sin. 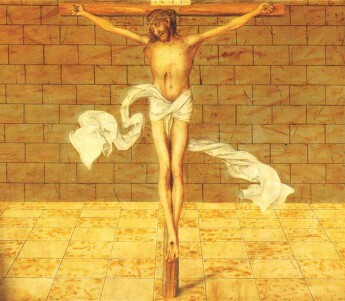 He earned it by paying for every sin ever committed through His suffering and death. And Christ gives that authority to His Church on earth. When a pastor speaks the forgiveness Christ has sent Him to speak, it is Christ Himself who forgives sin. Christ has all authority in heaven and on earth, so it is He who decides how He wants to forgive sin. Christ has chosen to give forgiveness of sins through the mouths of sinful men sent to His people for that purpose. Forgiveness doesn’t do you any good if it is somewhere out there for you to find. Forgiveness doesn’t do you any good if it’s sitting in heaven. Forgiveness of sins needs to come to sinners, where sinners are. That is why Christ instituted the church. The church is the place for sinners to gather and receive forgiveness. Forgiveness belongs to the church. Since forgiveness belongs to the church, no man can assume the office of pastor without a call from the church. The church, to whom forgiveness belongs, must call a pastor to give this forgiveness to them. No one can appoint himself to be a pastor. This is what it means in Romans 10 where Saint Paul asks, “How are they to preach unless they are sent?” They cannot preach unless they are sent. They must be called by God through the church. Christ instituted the office of the ministry, or the office of pastor, for the purpose of preaching His Word and giving His forgiveness. It is the office or the position that is special, not the man who occupies the office or position. There is nothing special about the man John Nieminen. He has nothing to say to you. He has no special wisdom, insight, or knowledge to impart to you. Yet when your pastor speaks Christ’s Word to you, it is Christ Himself who speaks to you. When your pastor forgives you your sins, it is Christ Himself who forgives you your sins through the Word He has given your pastor to speak. This is why pastors wear albs or robes. They cover up the man and remind you and me that it is only according to his office as pastor that he has the right to say one word from God. This is also why pastors are called by their title. It’s not a matter of pride or conceit, but rather a reminder to you and to me that I’m not here of my own doing. I didn’t decide one day that I think I’ve done enough studies, look on a map and say, “I’m going to move to the prairies and serve these two congregations in Neudorf and Melville as their pastor.” No, God called me here to be your pastor. He called me through you, the church. You called me to come and speak God’s Word to you and forgive you your sins in the stead and by the command of my Lord Jesus Christ. I’m not here as John to do what I want or speak what I want. I’m here as a pastor, doing what God has commanded me to do, and saying what He has commanded me to say. There are some things I’m tempted to not preach or teach. I’m tempted to avoid saying things that get people upset. I’m tempted to not touch sensitive topics with a ten-foot pole. But I don’t have a choice in the matter, unless I am going to be faithless to the One who has called me to teach and preach to you. I must preach God’s Law to you. I must tell you what God commands you to do in every aspect of your life. It is necessary, not because you can fulfil the Law of God, but so that you will recognize your failures to do what God commands and repent of your sins. It is necessary for me to preach the Law so that you realize that you need forgiveness and that you would desire to receive that forgiveness. I must preach the Gospel to you. I must tell you that Jesus died on the cross for all your sins, so that every single sin is forgiven: big sins, little sins, public sins, secret sins. Jesus took the punishment of every single one of your sins so that you have the promise of eternal life instead of eternal punishment in hell. I must forgive the sins of repentant sinners. I must also retain the sins of the unrepentant. Withholding forgiveness is not done arbitrarily or based on the whims of the pastor. Here too, a pastor must follow the Word of Christ. It is only the impenitent sinners who have their sins retained and are not forgiven; those sinners who refuse to turn away from their sin; those who have no desire to do better. Every sinner who is repentant is forgiven. The weak sinner who struggles with his sins is forgiven. The repentant sinner who has again fallen and thought, said, or done something which breaks God’s holy Law is forgiven. This is where Absolution comes in. Absolution gives forgiveness to the weak and doubting heart. It strengthens faith. It is Christ’s Word spoken to you in His stead and by His command. When you hear the words of Absolution, it may be the voice of your pastor you hear, but you are hearing the words of Jesus. Jesus instituted the office of the ministry for the benefit of His Church, so that through the ministers who faithfully proclaim His Word, Jesus Himself is speaking. When Jesus commands it to be spoken, so it is. You can thus be confident in the Absolution you receive from your pastor. The forgiveness he speaks is not his own forgiveness, but the forgiveness of God. He is the messenger of Christ, speaking that which he has been commanded to speak; forgiving what he has been commanded to forgive. Your faith is thus in Christ and His promises, nothing else. Christ cannot deceive or lie, so you can confidently trust His word of forgiveness which He speaks to you through the mouths of His ministers. Ministers come and go, but Christ’s promises to you are eternal. Amen.